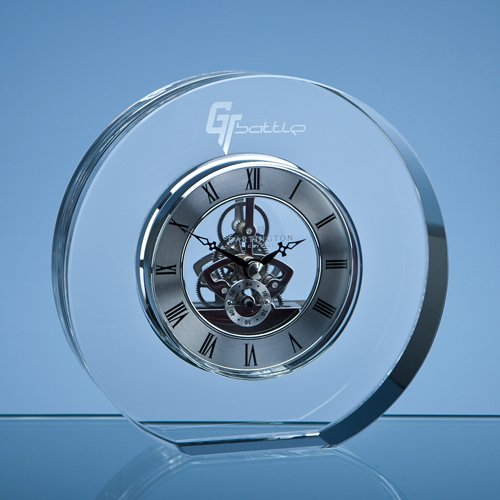 The Dartington Crystal round clock would look good at home or at work. The clock mechanism that is mounted in the back of the clock is on display from the front, the crystal surround can be engraved with any crest, logo or wording to create a gift that is sure to be treasured by the recipient. It is supplied in a Dartington Crystal gift box.